Jessica Rich on the panel of Diana Madisons Hollyscoop. Style Sound Off: Iggy Azalea, Jessica Alba, Sofia Vergara. 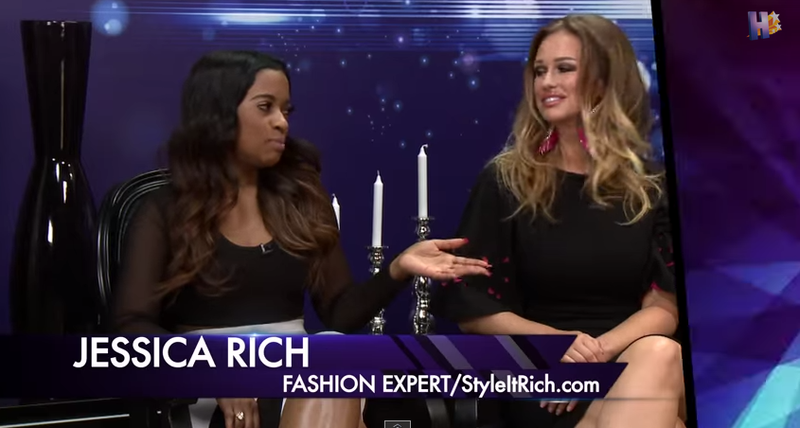 In the panel she breaks down their picks for the fashion hits and misses from this week. Iggy Azalea's patterned dress, Jessica Alba at the "Sin City: A Dame to Kill For" premiere, and Sofia Vergara in red are discussed.